I replaced even head gasket and now I would like made some small improvement to engine but whitout open It, any suggestions? Run race fuel and dial in 10 more degrees of advance. Depending if its a high speed track or tight one you can advance or retard the cam by one tooth. This is a good free solution, anothers tricks? Should have ported the head, fitted a hot cam and adjustable vernier pulley whilst head was off. Most of the power restrictions are all head related. With tubular headers you should see 145bhp. Maybe more with octane booster and max advance timing. For now I can't made this modifications, I don't open the head until head gasket burn. I try with 100 octane fuel and some degrees of advance. And if I modify only my stock cam for hot street use? Cost is about 200 euro, It is worth doing this change? The cam gave the most noticeable difference, The open exhaust gives you the feeling you going fast The other things are cheap but I don't think they do much. 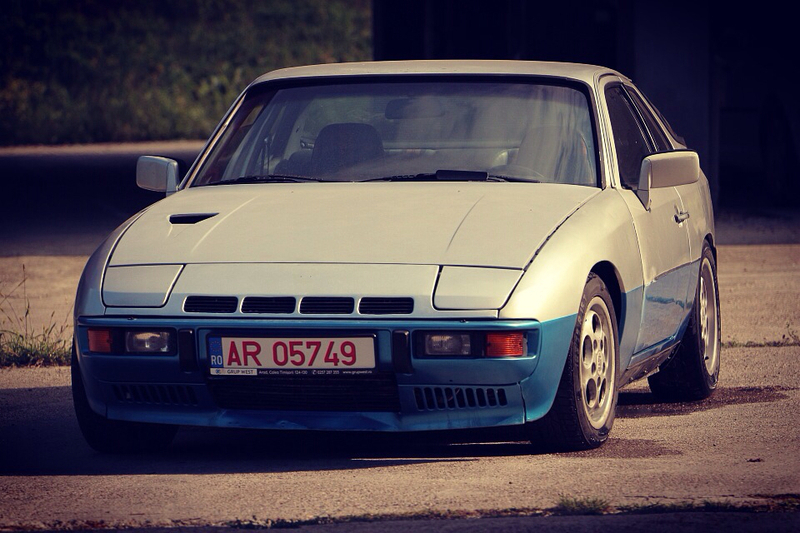 Other best motifications where new shocks, lower springs and front/ rear swaybars of a 968. Very interesting updates, but it's easy to remove the flywell ? I have already sport setup of suspension and sway, sport filter and open exhaust instead of last muffler. One thing that always killed me about the 2.0 is how slowly it revs. You would think a sports car engine would be a little less lazy. The pistons are pretty large and though I've never broken one down enough to take the pistons put I imagine they weigh a ton. Actually they don't, they are around 480g with the 944 ones jumping over 500 grams easy. So not too bad for a 86-87mm slug. Ok today's forged pistons are much lighter shaving 100g off the piston weight of the 924 and I guess today's sports cars only use forged pistons. The flywheel is a good start to make the engine rev faster, the cam is the next thing in my opinion. Then ignition, TB and fueling. In US you get much retard of the ignition...in the rest of the world its not so bad actually...I've been driving my 931 with no boost so about US NA power levels and yea its a bit slow revving for a sports car but still moves quite decently if you need it to. If you keep the N/A 2.0L above 3500 RPM's she actually revs quite nicely. These cars are meant to be kept high on the cam and sounding like they are going to blow up...but they are actually quite happy. I've been next to many a gen 1 miata ('80 tech vs. '91 tech and a lot lighter) and the miata didn't out-pull me that much. Now, once we get into 4th the Miata had nothing. This little old fart of a 2.0L has some legs on it. I have even out pulled a late 80's CRX Si at Charlotte Motorspeedway on the back straight...he had nothing for the top end on these old girls. The motor is a good one for track days. For a beginner that car a great platform as it is very forgiving and won't really bite you. You can also work on your fundamental skills a a driver so that when you do go up in horsepower, you don't run out of talent really quick. ..so that when you do go up in horsepower, you don't run out of talent really quick.